School holidays, school reports, afternoons out. 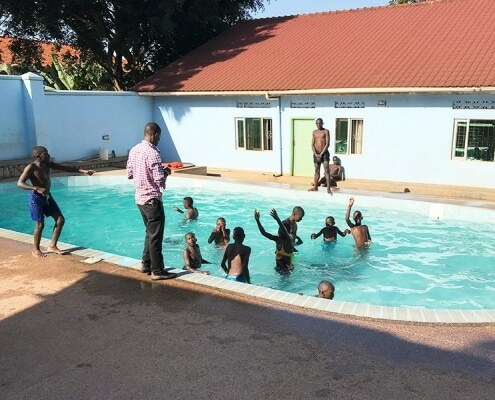 Life at George’s Place is full of activity with all the boys off school. 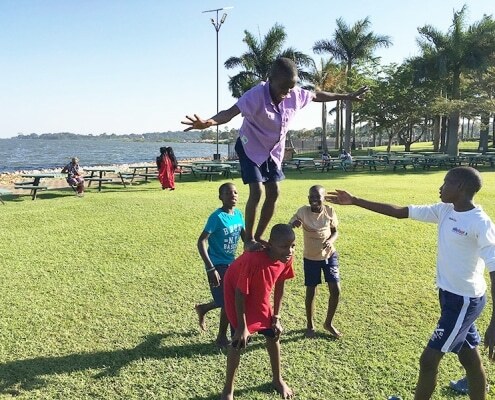 Denis arrived on Thursday from boarding school and the boys from vocational training arrive in the next few days. 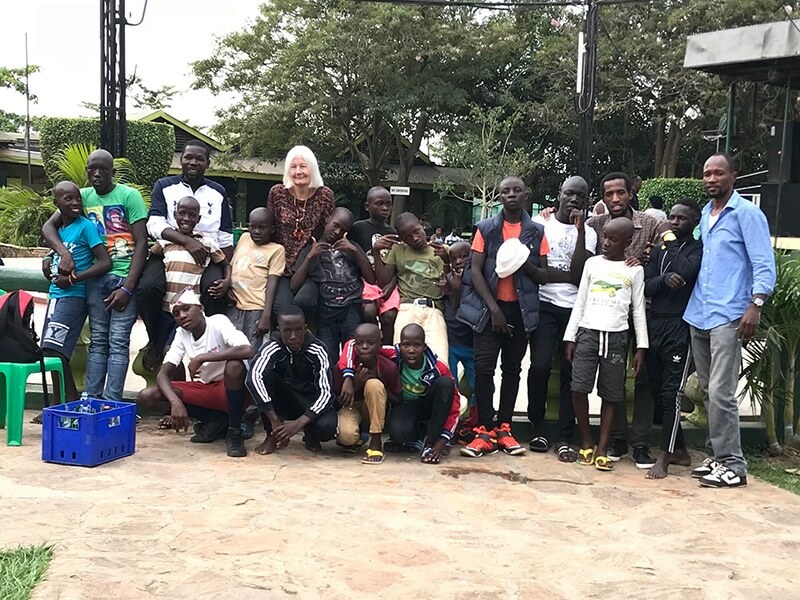 I seem to have spent the week with needle and thread in my hands – every time I sit down one of the boys brings clothes for me to mend…………those of you who know me well know that this is not where my talents lie. I wish I had spent more attention at Ailsa’s craft days! ‘Love is patient, love is kind. It does not envy, it does not boast, it is not proud. It does not dishonour others, it is not self-seeking, it is not easily angered, it keeps no record of wrongs.’ 1 Corinthians 13 4-5. 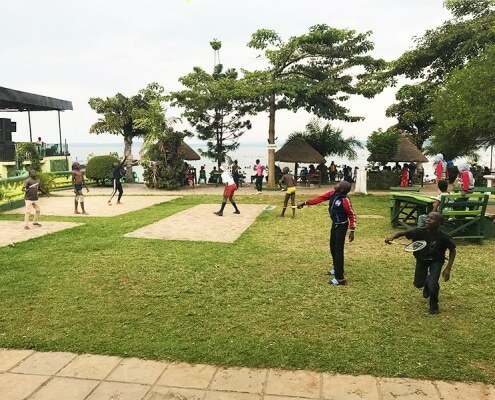 We have taken the boys out most afternoons, back to KK Beach, swimming, Munyonyo (the security people were not happy to see so many of us, but I was prepared to stand our ground – we are no trouble, do not take food or drink, footballs, sports equipment etc. into their beautiful resort) eventually we were allowed in. 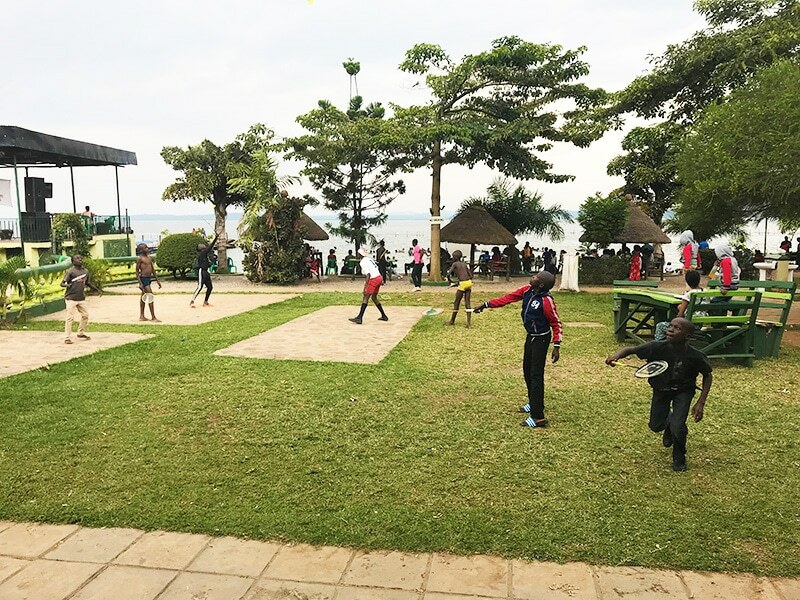 Friday afternoon Uncle Sam took them to play football as I was on security (Julius day off) and waiting for Yusuf’s mother to collect him for the holidays. 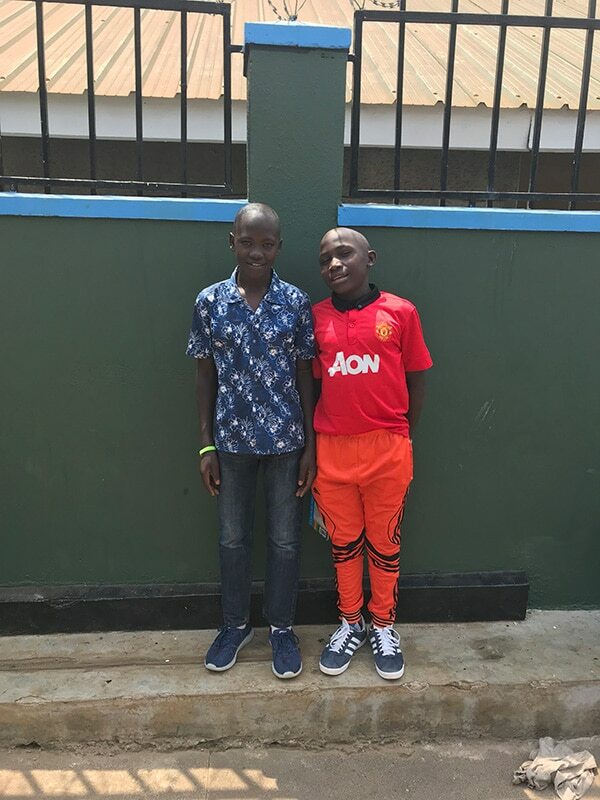 Bob was also taking Big Shaffick and Asaph to catch buses to take them to their homes for a couple of weeks. (It’s definitely quieter without Shaffick – he’s spokesperson for the boys). 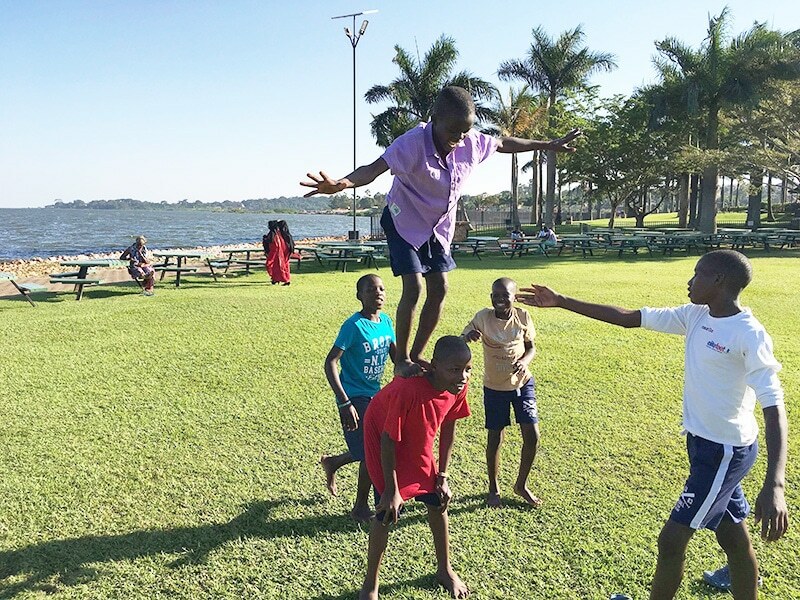 The latest craze is making bracelets from loom bands, (small rubber bands) which most of the boys enjoy doing and spend hours making and remaking – a least one quiet pastime. 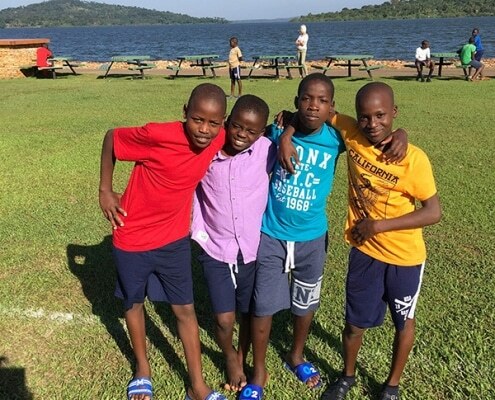 A new shop has opened in Kampala selling reasonably priced children’s clothes – so we bought them all new shorts this week – I’m not sure how long they will last with the boys washing/scrubbing techniques. We could also do with trainers if you have access to any good second-hand ones please, sizes 5-10. 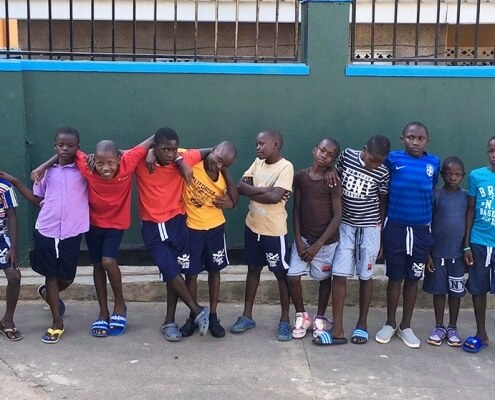 26 boys in our care all needing shoes, sandals etc is proving challenging, they love pink ones! 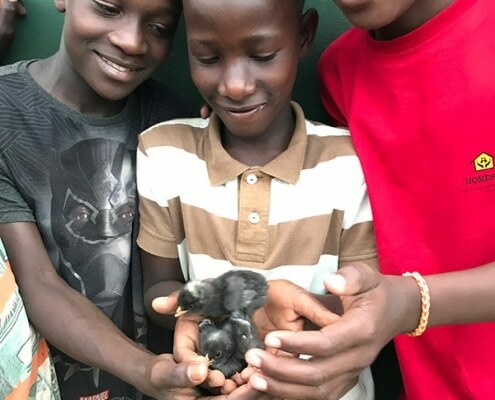 Anton has gone back to his village to look for land to rent so that he can start growing produce but he phoned saying there is only land to buy! I have spoken to Nora and we will look into the practicalities of this, the land is reasonably priced but there are so many scams around buying land. 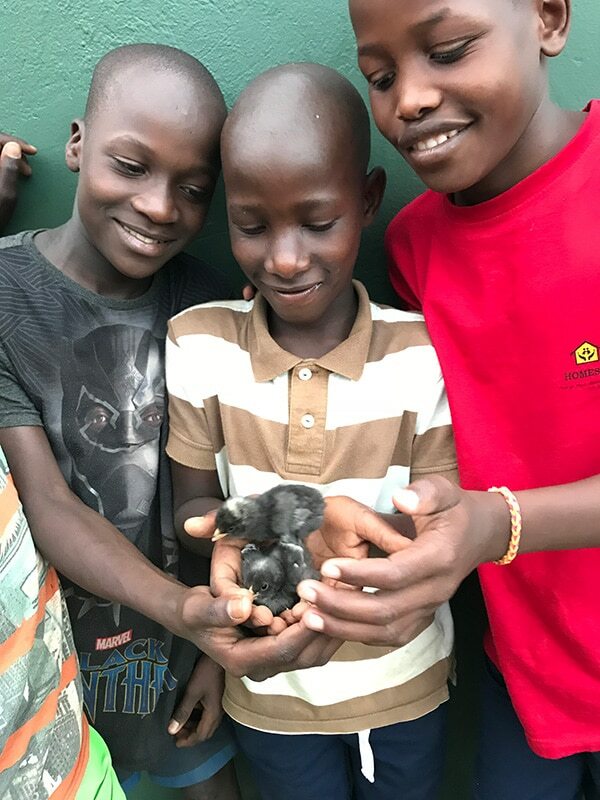 The Maranatha boys collected their school reports this week, little Brian was again first in his class and little Shaffick second. 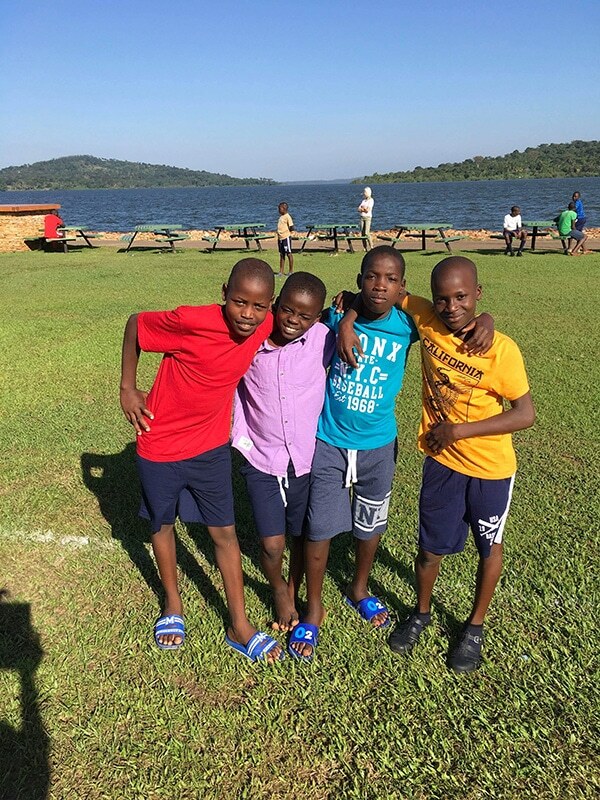 The boys results vary, some who have never been to school before are at the very bottom of the classes but they were all trying hard and their behaviour wasn’t a problem. Bob and I spoke to each of them (10) in turn to encourage them to keep persevering. 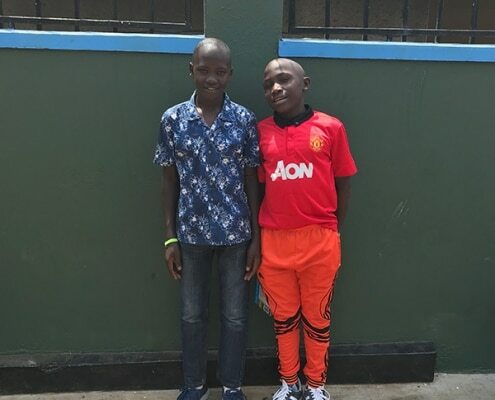 Yusuf had us both nearly in tears – he wants to be a footballer – and wanted to thank us for being there for him, for the good food, good clothes and good life- makes everything worthwhile! (Thank you for supporting our work, we couldn’t do it without you). 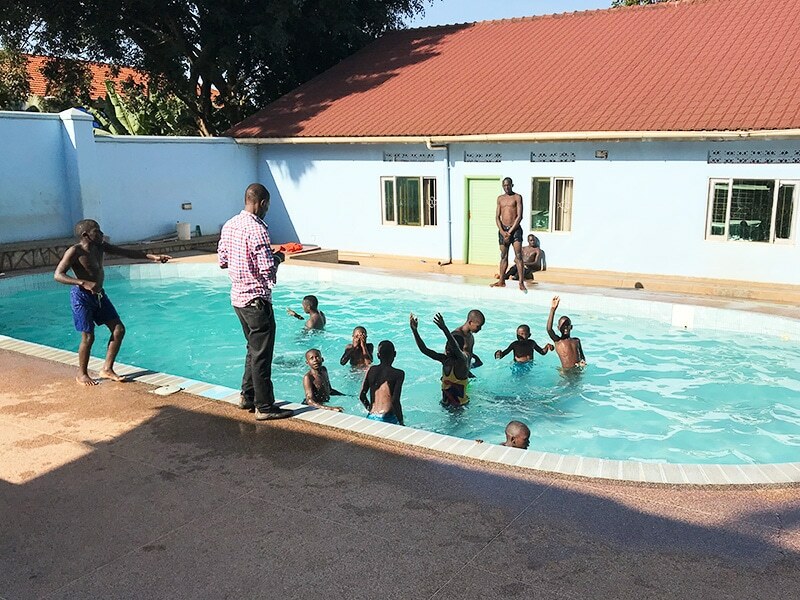 Bob took the four new boys to Maranatha for interviews and they will be starting there when the new term begins in the middle of September. And so another week over, the temperature has been up this week, lots of warm sunshine and no rain. 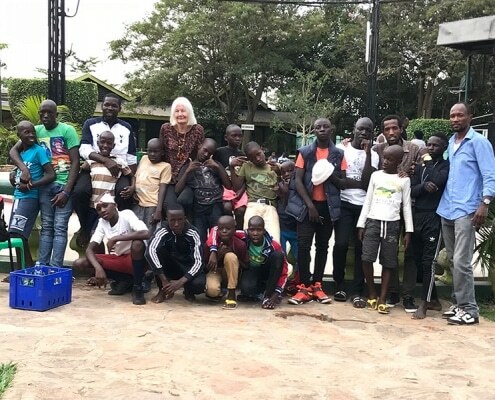 Please continue praying for our work – we have at last had our accounts audited in Uganda and these will be going to the Ministry of Gender shortly.